The Detection of Leukemia Lab Activity brings the actual genetic identification techniques used in clinical labs into your own lab. 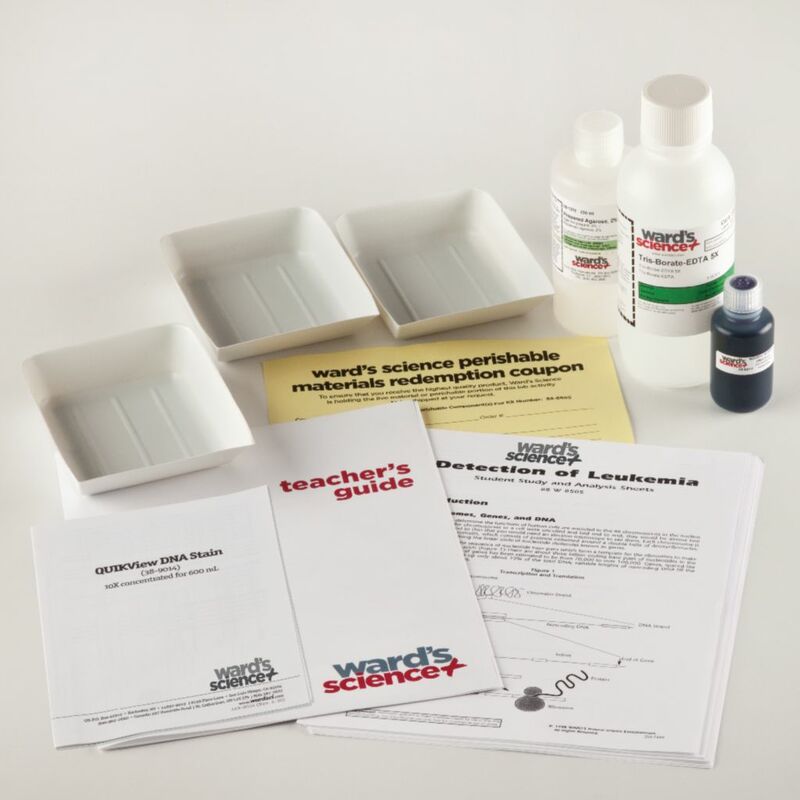 With this kit, students perform an electrophoresis test on DNA samples to obtain simulated results that show altered DNA bands, which denote the presence of chronic myelogenous leukemia. By studying the abnormalities in the bands, caused by translocation of an oncogene from one chromosome to another, students learn about the role oncogenes play in certain carcinomas. The kit comes with enough material to run three gels.